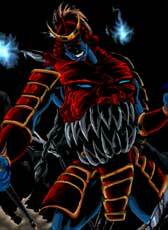 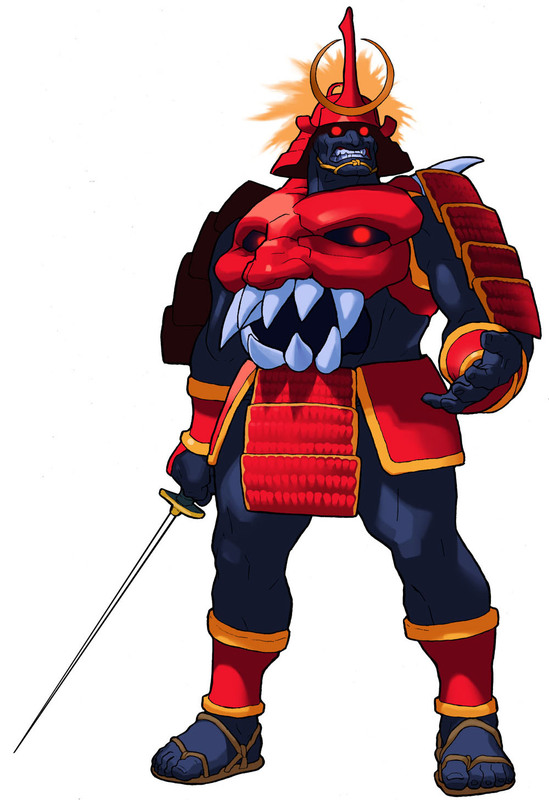 Bishamon is one of the playable characters from the Darkstalkers fighting game series by Capcom, he was featured in all parts and ports of the series. Bishamon is a samurai classified as “Tsukumogami”possessed by the demonic armor he wears. 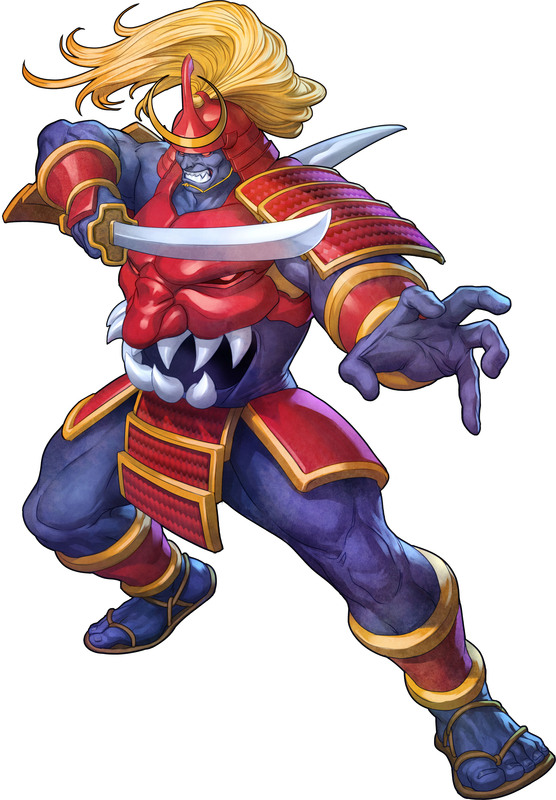 His name is probably related to the Japanese God of War also called Bishamonten. Bishamon is one of the more serious Darkstalkers characters, and one of the few capcom fighting game characters using swords/katana. 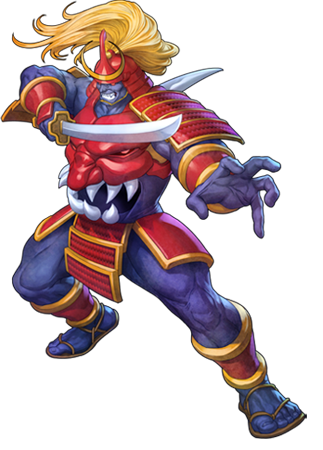 Bishamon is a playable character in all Darkstalkers games so far, in Darkstalkers 3 there is also a second version of him related to the story that Bishamon got rid of the armor due to a battle with Pyron. 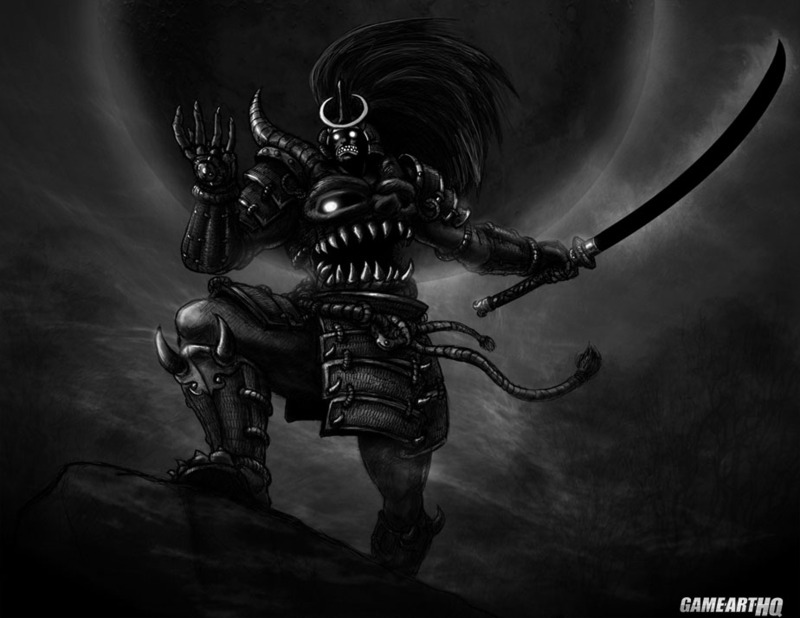 Oboro Bishamon is a cleansed version of Bishamon, no longer bound by the evil armor. 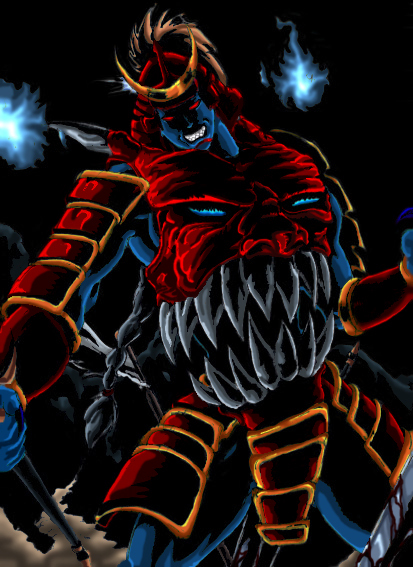 This version is slightly different looking and playing. 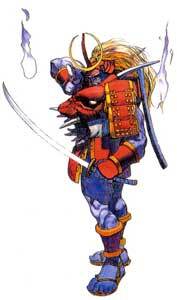 Originally this version was known as Shin Bishamon in the original Vampire Saviour but for unknown reasons, Capcom changed his name to oboro Bishamon. Oboro Bishamon is a cleansed version of Bishamon, no longer bound by the evil of Hannya and Kien.